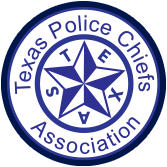 The Texas Police Chiefs Association was founded in 1958 to promote, encourage and advance the professional development of Chiefs of Police and senior police management personnel throughout the State of Texas. The TPCA is a statewide law enforcement administrator's organization for Texas and, as such, it is concerned on a statewide basis with all issues involving the criminal justice system. In 2005, the TPCA formed the TPCA Foundation for the purpose of providing a means to support the Officer Line-of-Duty Death Benefit Program, the Texas Best Practices Recognition Program and to provide low-cost training programs designed to support the TPCA mission. These training courses are all designed to focus on leadership and the development of technical skills used in leadership roles. The tuition costs all go to benefit the TPCA Foundation to further its efforts in these areas. TCOLE credit is offered for all provided training programs. The Texas Police Chiefs Association and the Texas Police Chiefs Association Foundation is determined to advance and improve law enforcement in Texas through the Texas Law Enforcement Best Practices Recognition Program and quality training programs that focus on ethical, value-based leadership principles.